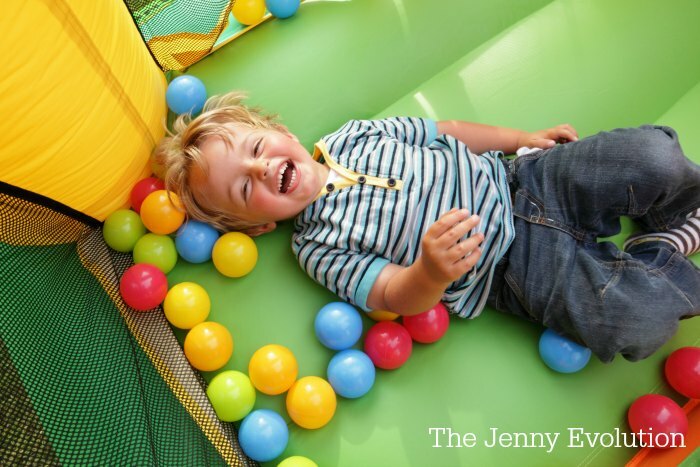 Bouncing isn’t just for tiggers! 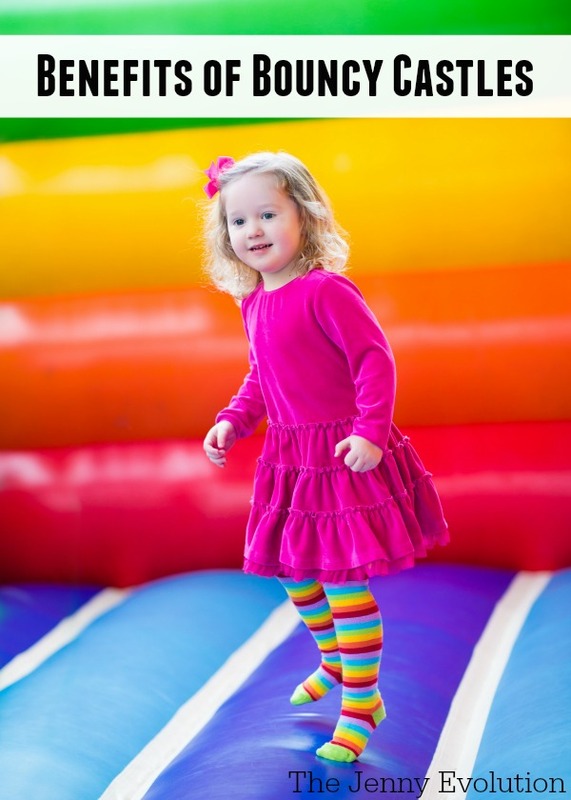 Read about the benefits of bouncy castles for toddlers and kids. 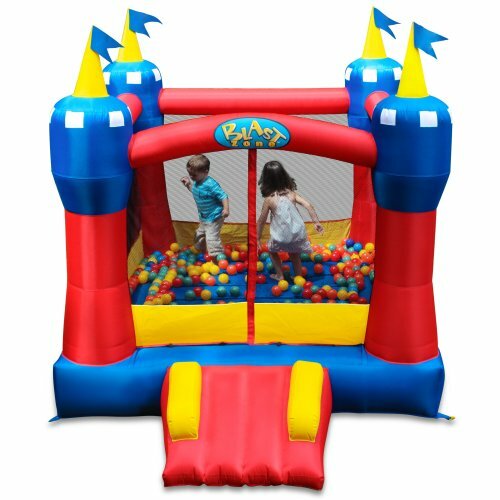 Bouncy castles have been around for years, with larger versions normally up for use at fairs and carnivals while smaller versions can be rented or purchased for home use. While even adults have to admit they are pretty fun to jump around in, are there really any benefits of bouncy castles for kids? You bet! This post contains affiliate links for your convenience. One of the main benefits of bouncy castles for kids is the fact that it is a great way to encourage exercise or help with weight loss. Even children that have a normal body weight still need regular exercise and trying to create an exercise routine for a child is almost impossible. While kids will need a little bit of adult supervision, they can basically bounce on their own and the recommended 20 to 30 minutes of exercise a day, three times a week can easily be achieved. 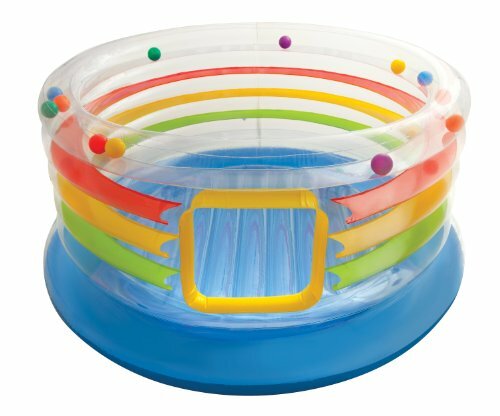 Shoot, my boys could go outside and bounce for an hour. They come in drenched and HAPPY! For some extra fun, add soft of plastic balls or stuffed animals to the bouncy castle. Let the craziness begin! Children can obviously enjoy themselves while jumping alone, but bouncy castles tend to attract other children for what seems like miles around. Who doesn’t love having someone to play with? It’s the perfect excuse to get together with friends. Of course, kids will need to learn to take turns, play well with each other and also be conscious of their actions as to not bump into each other while playing. Clear rules should be explained about how many kids can be on at one time and any other rules, like whether or not shoes are allowed, etc. Some kids just need to jump! Actually, their internal sensory system needs it. My boys’ systems certainly do! 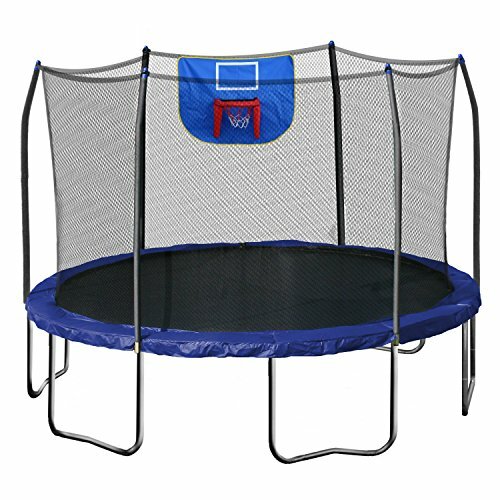 We keep a mini trampoline in the family room throughout the whole year. Bouncing can be a terrific way to self-regulate, whether that’s for calming down or waking up your system. Yes, we all have days we just can’t seem to get the kids outside. With a jumpy, there isn’t much cajoling in getting them to burn off some energy. Go enjoy the sunshine, get in some exercise and enjoy the fresh air. And speaking of getting the kids outside, get yourself outside while you’re at it! While this may be more of a benefit for parents, bouncy castle rental can cost a few hundred dollars per day, while purchasing one can run about $300 to $400 depending on the size. After just two uses, the castle has already paid for itself. I can’t tell you how many parents I know just went ahead and purchased one for the summer. New bouncy castle kits should include the fan, the castle itself and the correct electrical cord or breaker. 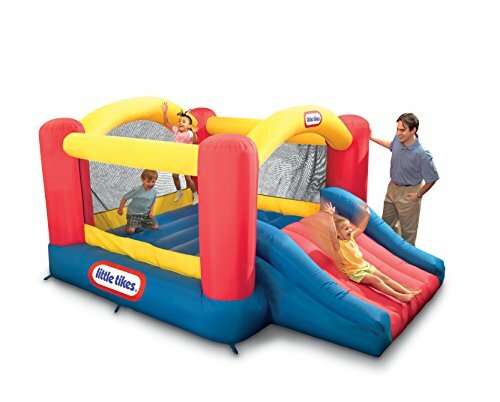 Bouncy castles provide exercise and hours of entertainment for both children and adults. While rentals are a good option, purchasing a bouncy castle is probably the best choice for unlimited amounts of fun. Consider the following links for your next bouncy castle! I would agree that getting a bouncy house is a great way to entertain children at a large function. That is awesome that bouncy house rental require very little keep up and set up efforts. 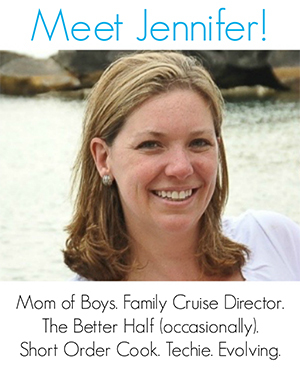 Thank you for sharing your advice on how to host a party that will involve many children. I didn’t realize that one of the benefits of jumping in a bouncy house was to get exercise. I can see why it would help strengthen your leg muscles. I’ll definitely have to remember this when my children learn how to walk. Excellent and caring post. I found this much useful for children; Most children are like a various bouncy castle, and you provide this few types of bouncy castle. Thanks for sharing the bouncy castle benefit post. I totally agree. 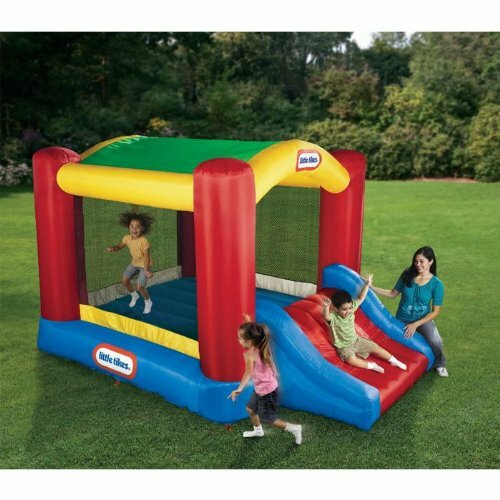 Children get lots of positive energies by playing on jumping castles. Those energies not only filled the kid’s mind with joy but also their body with amazing health benefits. Excellent points! We speak from experience when we say that we see first hand the genuine laughter and smiles from kids when they play on jumping castles. Setting up is very easy and these days prices are very affordable to hire. I like how you mentioned that bouncy castles can encourage kids to exercise and lose weight. One of my cousins is a bit tubby, so he might benefit from bouncing around a bouncy house. Thanks for all the great information on the benefits of bounce houses.